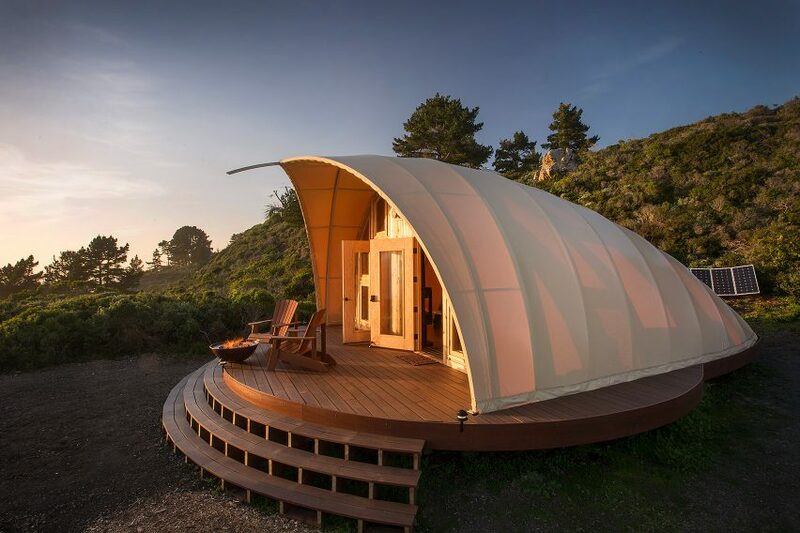 An American startup has installed a tent-like structure in California that aims to provide users with a luxury off-grid camping experience. The Autonomous Tent was designed by architect Harry Gesner and is set up as a permanent fixture, but can be erected and taken down quickly. Perched above a rocky cliff, its fabric canopy opens outwards towards a fully-glazed extremity to provide users with ocean views. In the front of the shell, a wooden porch allows guests to sit and enjoy the outdoors. Inside, a small wood-burning stove heats the shelter on chilly evenings. The compact floor plan only encompasses 500 square feet (47 square metres) but includes all the amenities necessary for a night of luxury camping. 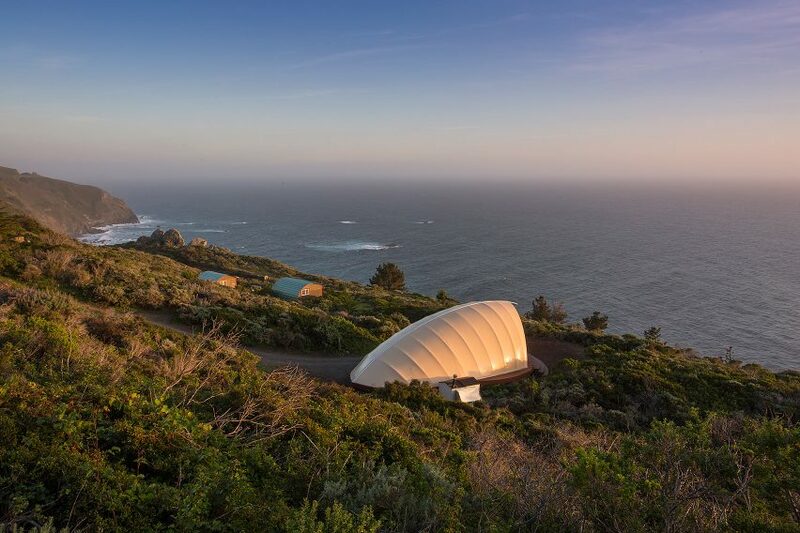 “The Autonomous Tent is a modern design with open floor plans, soaring ceilings and grand entryways to showcase property views,” according to Autonomous Tent founder Phil Parr. Solar panels generate enough energy for the property, reducing guest’s environmental impact. 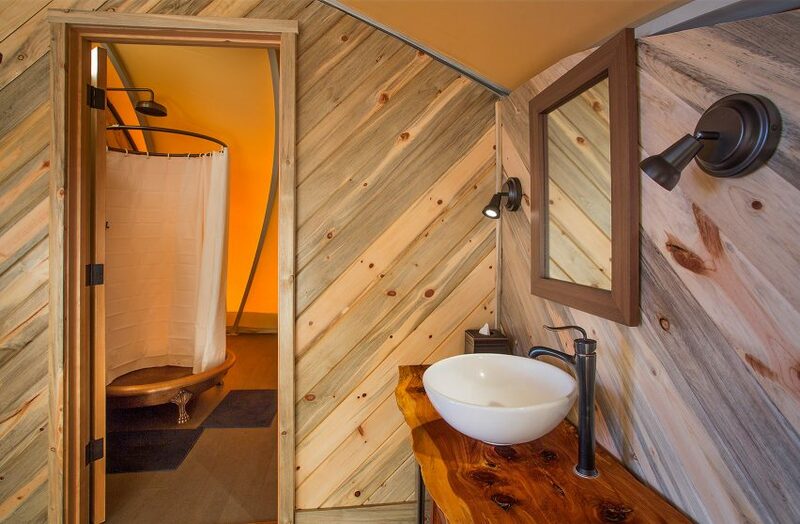 The bathroom features a full shower, and a high-tech composting toilet. Curved metallic elements make up the structure of the tent and support a fabric shell that protects visitors from inclement weather. “The luminous resilient fabric stretched across the metal ribs glows at night and provides natural indoor lighting during the day,” according to Parr. The company manufactures many such structures in Denver, Colorado. They are designed to be “the world’s first transportable five-star boutique hotel in secluded natural locations”. Customers can personalise the tents, selecting fabrics and finishes for the design. Autonomous Tents manufactures shelters of various sizes, that can accommodate different uses. “These tents are used for both personal and commercial applications, including private gourmet dining experiences, luxury guest suites, yoga studios, spas, cocktail lounges and hunting and fishing lodges,” Parr explained. 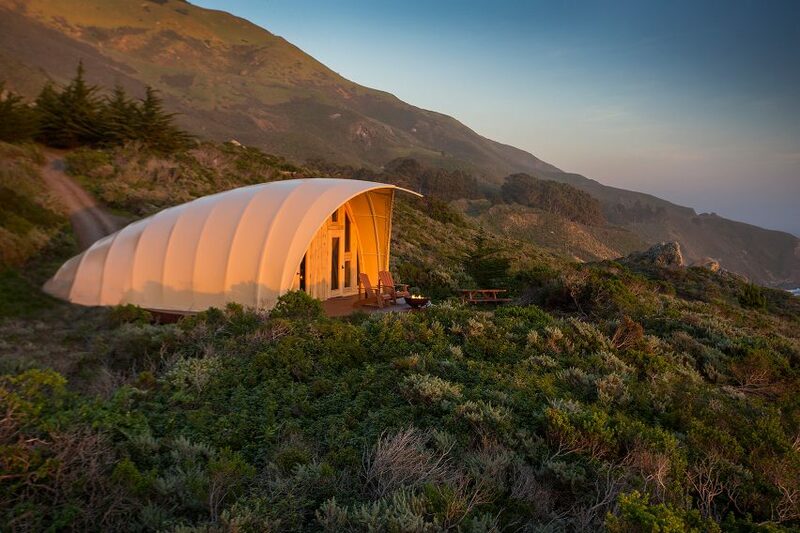 There is an increasingly active market for off-grid escapes in compact structures. A company started by Harvard graduate students, Getaway, recently expanded its micro-cabin leasing service to New York City after a successful debut in Boston. 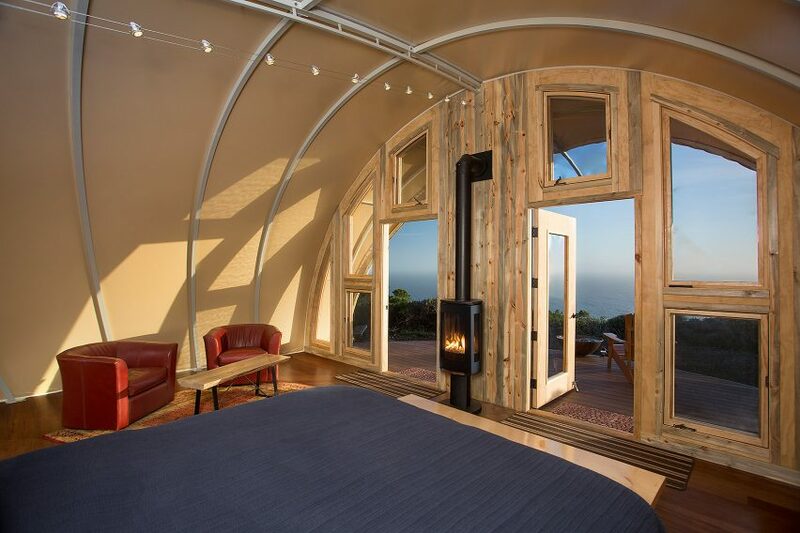 Other examples of structures for luxury camping or “glamping” include a cluster of wooden cabins on stilts and organic-shaped tent volumes that resemble donuts, both in South Korea. Photography is by Kodiak Greenwood. 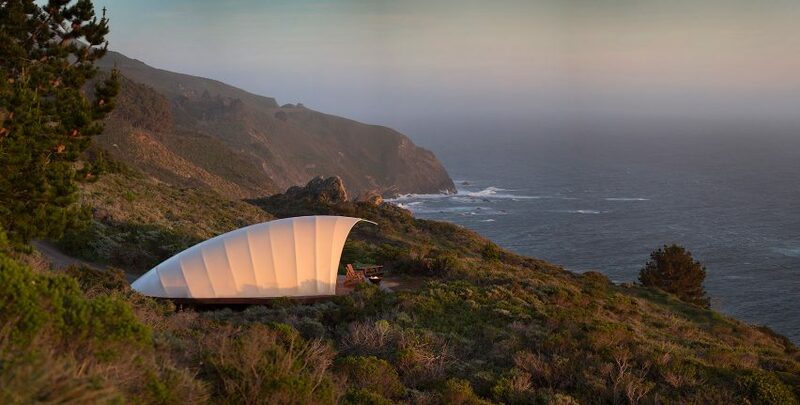 Be the first to comment on "Autonomous Tent creates a remote glamping spot on a California clifftop"